The front of this contemporary B’not Mitzvah invitation on white card stock features the words “B’nai Mitzvah” in foil stamping and on the backside is a thick stripe design and your party information. Celebrate with a big bang AND in style. 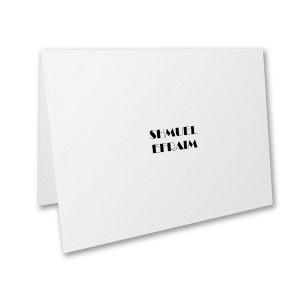 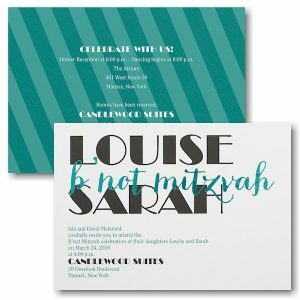 The front of this contemporary B’not Mitzvah invitation on smooth white card stock features the words “B’not Mitzvah” in foil stamping and on the backside is a thick stripe design and your party information. 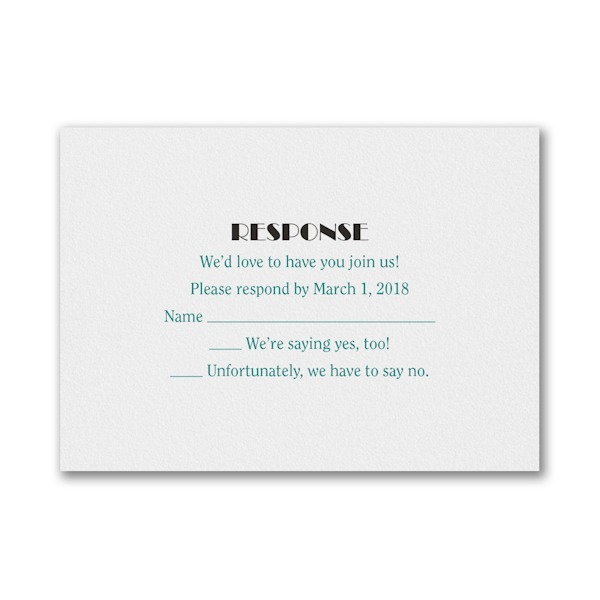 Measures 7-1/4″ wide by 5-1/8″ high. 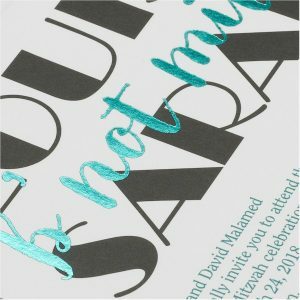 Shown with flat Black/Teal inks and Teal foil stamping and combination lettering styles CLR/BWBT. 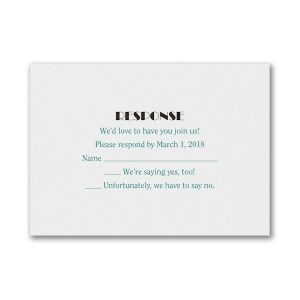 The coordinating Response enclosures will print on matching single card stock and the Thank You notes will print on folder stock. 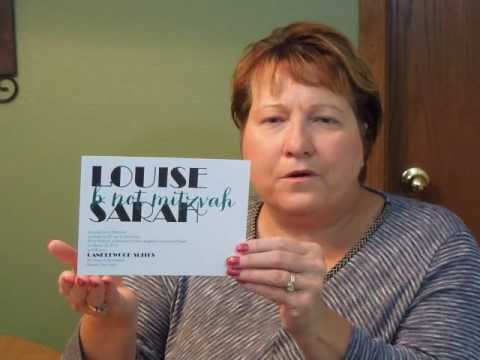 This B’not Mitzvah invitation is accompanied by single envelopes.